TRESemmé recently launched their brand new Beauty-Full volume reverse system as part of their expert selection. The two-step products deliver salon-quality results with minimal effort. TRESemmé Beauty-Full Volume is a game-changing regime that gives your hair amazing body and bounce. The new Reverse System for Touchably Soft Volume lets you condition first and shampoo second. TRESemmé claims that using conditioner after you shampoo can weigh hair down and leave it flat. With their new revolutionary Reverse System, use the pre-wash conditioner first to soften hair. Follow with their shampoo, with Fleximax™ Volumizers, to wash away weight. Then style to get beautiful voluminous and bouncy hair that feels as great as it looks. Now, I must admit as someone with very curly fizzy hair, this was a totally new concept for me and I admit that I was very skeptical about using a conditioner before a shampoo because I also rarely use shampoo in my hair. I co-wash… a lot! Step 1 Pre-Wash Conditioner* to soften. TRESemmé Beauty-Full Volume Pre-Wash Conditioner is designed to be used before you shampoo, to leave hair smooth and polished but still full of bounce. Formulated with a combination of Fleximax™ Volumizers and Fiber Polishing Actives, it binds to the cuticle to leave hair smooth and polished, even after you shampoo. Step 2 Volume Shampoo* to wash away the weight. TRESemmé Beauty-Full Volume Shampoo is designed to come after the Pre-Wash Conditioner to wash away weight. That way, your hair gets the conditioning it needs to feel smooth and silky, but maintains the bounce it needs to look fabulously full. Also formulated with Fleximax Volumizers, it helps to control static, infusing hair with volume and leaving it prep for styling. Volume & Softness Hair Maximizer* for more volume and softness. My favorite! Some volumizing hair products leave hair feeling stiff and sticky. TRESemmé Beauty-Full Volume Volume & Softness Hair Maximizer lets you have hair that’s got bounce and body, but still feels soft. I thoroughly enjoyed the Pre-wash conditioner because it felt wonderful in my hair leaving it smooth and soft and I would be content just using this to cleanse my hair skipping the shampoo altogether. The shampoo felt really good on the scalp and it lathers nicely leaving the roots feeling clean but not stripped. 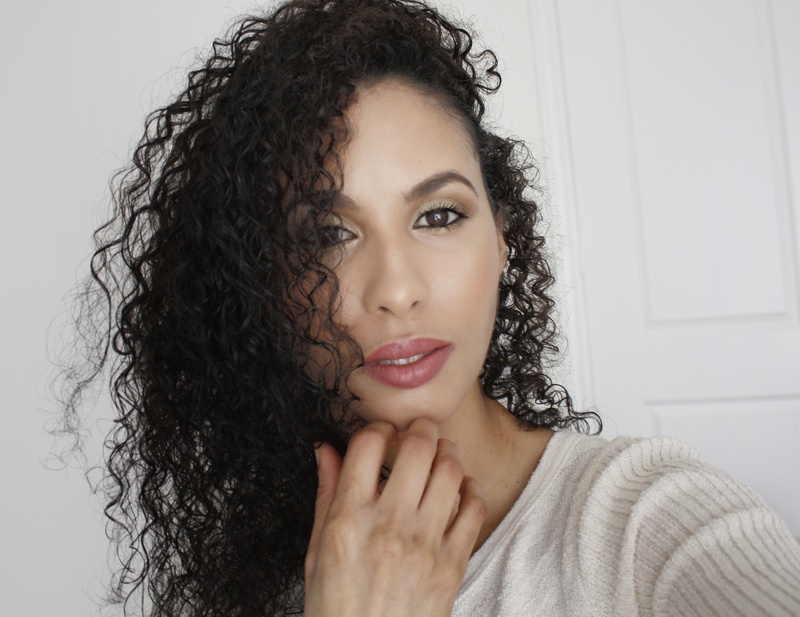 With this method the hair feels clean, weightless, and soft but I must admit I did not really see any significant volume from the above steps and felt like I would still achieve the same volume without the reverse system. I guess that by reversing the typical product order my hair is conditioned, it will prevent hair from being weighed down. Will I continue to use this reverse system? On occasion I may, but because of the type of hair that I have, I rarely shampoo my hair as co-washing is a big part of my haircare routine. And to wrap this up, I have to mention just how much I love the Maximizer; it really leaves hair soft and bouncy without the stiff crunchy feel. Love! Have you tried this? What are your thoughts on this reverse system?